How Far Can Rule 41 Go? 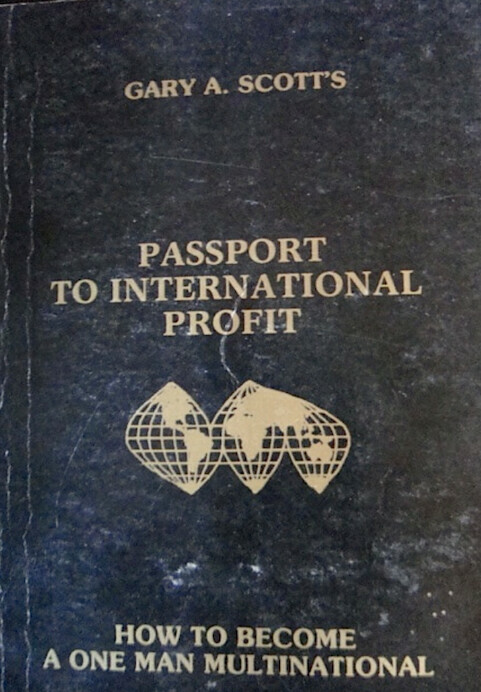 That’s a quote from “Passport to International Profit”, the first book I wrote in the 1970s. “Be global” was the theme. Technology was advancing to the point that we could live in one country, bank in a second country, earn in a third with a corporation set up in a fourth country… all directed from an office in a fifth country. I called it the five point command posture. Technology made this path of freedom easier and easier… then. See why this is not the case today. Since the 1970s, governments, almost everywhere, have been using technology to systematically strip away global freedoms and tag their citizens with extraterritorial jurisdiction. Extraterritorial jurisdiction is when a government exercises its authority beyond its normal boundary. This means that a government’s hold, its control, its force pressed upon you, does not have to stop at any border. Examples of this beyond-the-border, action has ranged from Russian killings of its citizens living abroad to America’s taxation of expats. The Chinese government exercises its extraterritorial jurisdiction with forced renditions (aka kidnapping). They forcibly repatriate people that they consider Chinese nationals — even when some are also citizens of other countries. The Communist Party is serious. Its assertion is that anyone it regards as a national — no matter where they live, work, or study — is subject to its authority. The US claims authority over its citizen’s bank accounts wherever they may be. The US taxes earnings on its citizens wherever they may work, live or earn. In 2016, the US government decided to claim authority over your computer as well. Rule 41 of the Federal Rules of Criminal Procedure, which was proposed by the US Department of Justice, was approved by the US Supreme Court. This rule allows federal investigators to seek permission from a magistrate judge, in any state, to plant hacking software on a computer that’s… anywhere. The Justice Department does not even need an elected judge to be this forceful. Magistrates are not elected judges, but are judges appointed to assist district court judges in the performance of their duties (1). They are “Justices of the Peace” who administer criminal or civil justice in minor cases, can act as a notary, administer oaths and perform marriages. In some cases magistrates are not even required to have a law degree. You can’t hide from US government hacking as US law enforcement has this easy legal path to hack into any computer, anywhere in the world. This is a Rule… not a Law! This enormous intrusion into our privacy is not even a law created in Congress. This is a rule simply proposed by the Department of Justice, which the courts have gone along with. If Yuval Noah Harari, author of “Homo Deus: A Brief History of Tomorrow” is correct, the problem is about to get much, much worse. Governments don’t want to just control our money and body, they want to take over our will. Harari says: Governments and corporations will soon know you better than you know yourself. Belief in the idea of ‘free will’ has become dangerous. Harari argues that free will isn’t free. We can make independent choices, but these choices depend biological, social and personal conditions that we do not control. We had nothing to do with our gender, family background, national culture, genes or the family we have. He asks: Just observe the next thought that pops up in your mind. Where did it come from? Did you freely choose to think it? Obviously not. If you carefully observe your own mind, you come to realise that you have little control of what’s going on there, and you are not choosing freely what to think, what to feel, and what to want. Harari thinks that the belief in “free will” is dangerous because governments and corporations have learned to manipulate our thoughts. He believes that governments and big business can hack humans. He says: It starts with simple things. As you surf the internet, a headline catches your eye: “Immigrant gang rapes local women”. You click on it. At exactly the same moment, your neighbour is surfing the internet too, and a different headline catches her eye: “Trump prepares nuclear strike on Iran”. She clicks on it. Both headlines are fake news stories, generated perhaps by Russian trolls, or by a website keen on increasing traffic to boost its ad revenues. Both you and your neighbour feel that you clicked on these headlines out of your free will. But in fact you have been hacked. The scary aspect of Harari’s predictions are that governments can tailor their message to the unique weaknesses of each individual brain. Algorithms can be used to spot and reinforce bias. In recent years some of the smartest people in the world have worked on hacking the human brain in order to make you click on ads and sell you stuff. Now these methods are being used to sell you politicians and ideologies, too. The really thought provoking point is that this is just the beginning. Right now hackers rely on data based on what we buy, where we visit, the words we use on our phones, email and search for online. Once biometric sensors are improved government hackers will have direct access to our facial expressions, our heart beat, blood pressure and brain activity. Then they can correlate our physical rhythms with our credit card data and search history. The hackers will know us and how to direct our thinking, better than ourselves. His suggestion for combating this horrible intrusion is “come to terms with what humans really are: hackable animals. We need to know ourselves better”. “Know thyself”. We have all heard this before, but it’s valuable advice. Modern technology allows too many people to sell us anything they want – be it a product or a politician. If we get to know ourselves better and accept our vulnerabilities, we can start to build protection from that. 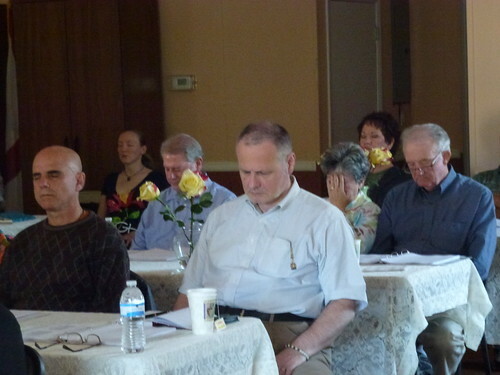 It is particularly important to get to know our weaknesses. These are the key features that hackers look for when they hack you. Algorithms reinforce pre-existing fears, hatreds, biases and cravings. Hackers cannot create fear or hatred out of nothing. But when they discover what people already fear and hate it is easy to push the relevant emotional buttons and provoke even greater fury. If we look within and accept that our thoughts and desires are not just ours, we become less attached to them. When we understood that our desires are not just free choice, we’ll be better able to be flexible in our thinking. Once we realize that we are a product of a history and surroundings we did not create and can do little about, we become more connected with reality and can see and hear other people better. Curiosity can bring us back. Thinking this way can expand curiosity. When we accept that our thoughts and feelings are not all “us” we can begin to question and see through the attempts at control more clearly. . Question everything and you’ll start being smarter. We do not know all the things that governments might do to kill freedom, but if we can stimulate our curiosity we’ll be better positioned to bring our self control back.